Set on 443m2 approx this fully renovated home has had a modern transformation, combining old style generous proportions with a very versatile floorplan that would suit those needing a granny flat, teen retreat or home office. The main residence has four generous bedrooms, a formal living room, two bathrooms plus powder room and there is an ensuited external studio adjacent to the lock up garage and carport. Large open plan living flows effortlessly to an outdoor alfresco deck area. All the hard work is done here. 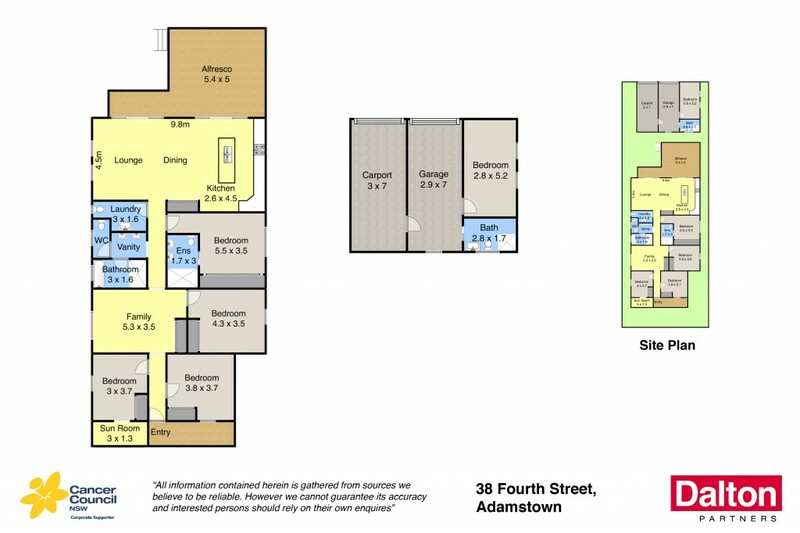 * Situated in one of Adamstown's most sought after enclaves. * Fully renovated home of generous proportions. * Five bedrooms, three bathrooms plus powder room. * Ideal granny flat/home office/teenage retreat. * Secure tenant in place paying $640 per week until mid 2018.